If you want to build a profitable membership site that virtually sells itself then this is what you are looking for. I spent hours researching the various options available and couldn’t find anything that met my requirements and that had a sensible pricing and licensing policy. Most of the solutions cost $100 per site or $250+ if you wanted to be able to install it on multiple sites. Not only that but all of them seemed to have a massive manual you had to wade through just to grasp the basics. It must be able to show parts of each post to non-members as a ‘teaser’ to really pull in paid subscribers. You must be able to accept both credit cards and Paypal and not limit your site to Paypal users only. It should be QUICK to setup. Literally, plug and go. It should fully automate the subscribing and upgrading process. It should have an affiliate system so other people will promote your site for you. It must be secure. There is no point having a system that people can get around and avoid paying you for your hard work. It must be cheap. No one wants to blow $80, $100 or $300 to set up a membership system. It should come with easy to follow installation instructions in both written and video format. It should be able to manage both free and paid memberships. Installs in minutes. This really is super easy. 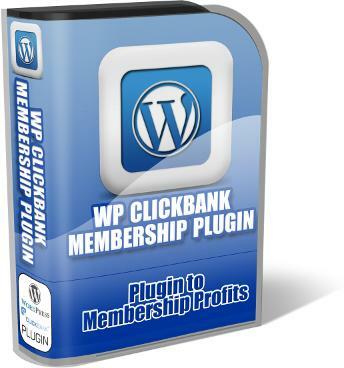 The installation is in two simple steps, a WordPress plugin and a special script to fully automate the Clickbank end of things. If you’ve never installed anything like this before the first time might take you a little longer but most of my friends and customers can install this in under 10 minutes! Lowest cost Multi-Install License ever! Want to use this on multiple sites? No problem, we have hands-down the cheapest multi-install license. Teases people into upgrading their membership. You can protect whatever sections of a post that you like. You can limit parts to free members, paid members, etc. Let visitors read some of your information but make them subscribe to see more. This literally makes your membership site sell itself. Want to redirect to a ‘One Time Offer’ page after a member has paid to upgrade? No problem! You can do exactly that with CBWP Member. CBWP Member is fully automated. The process of users registering and upgrading is all done automatically. You can go on vacation for two weeks and people will be able to continue registering and upgrading to paid memberships. This literally is “set it and forget it” technology. Zero compatibility issues. Works with all WordPress themes and is compatible with other plugins that use shortcodes. Enables you to provide special content to RSS feeds only. Widest range of payment options. CBWP Members uses Clickbank as the payment gateway giving you an automatic affiliate program and the widest range of payment methods including credit card, check, or PayPal. If you do some research you’ll soon discover that other membership systems will cost you $97 for a single site and $297 for a multi-site license. CBWP Member won’t cost you anywhere near that! Multi-Install License! Use on as many of your own WordPress sites as you like! That’s right! You can get CBWP Member for just $47 $5 and you can install it on as many of your WordPress blogs as you like! That’s a fraction of the cost of anything similar. And you’ll get an illustrated instruction guide plus two tutorial videos that show and explain every step of installation.